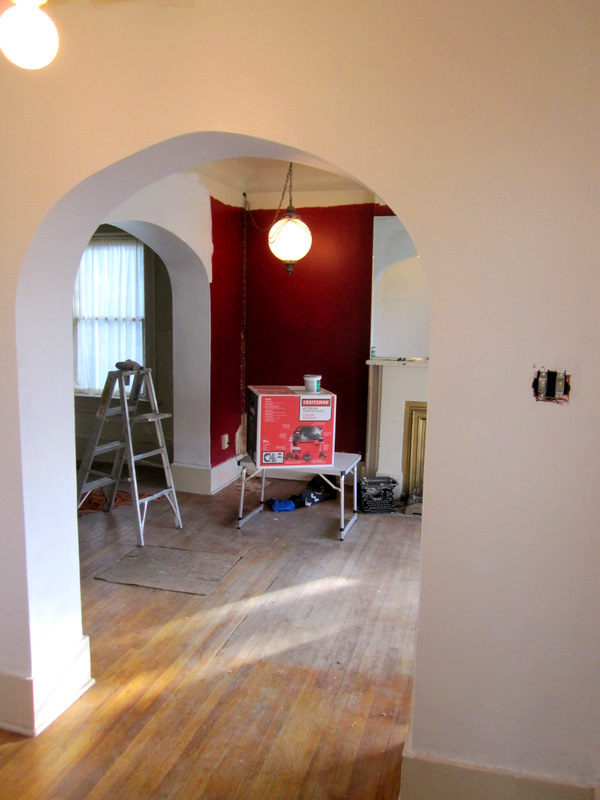 The red walls are gone. Primer is up. 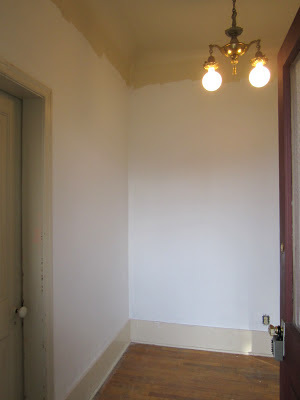 In the first photo, the right side of the rear wall may soon be coming out to make way for stairs! Hello second floor and 800+ additional square feet that have been blocked off from the main house for many many decades. Possibly since the 1890s. The red is almost gone. 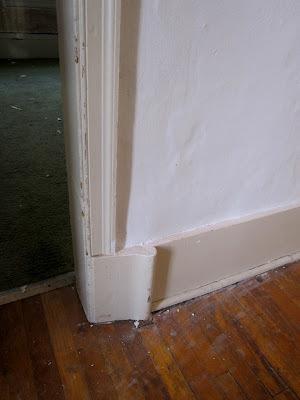 One corner in the living room remains--with its own issues.